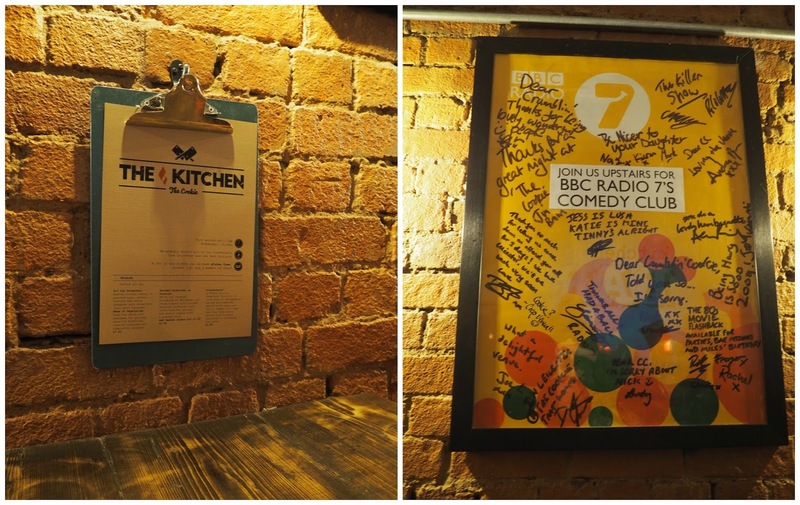 As a blogger I'm very fortunate to be invited along to a few events, some local, some not so local and last Thursday night I was invited along with a few other local bloggers to the launch of The Kitchen at The Cookie, Leicester. 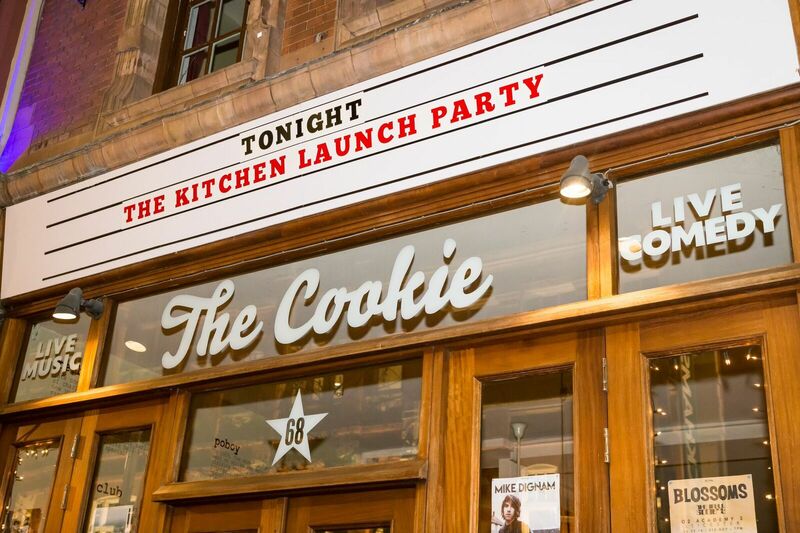 Now for those that don't know The Cookie is a well established music & comedy venue in the city hosting some well known names and The Kitchen is its latest addition. I'd actually not been before so was excited to see the place and get to sample some of the new menu. Venue downstairs for music and comedy, food in the middle and the cocktail and gin bar upstairs in The Attic. Us bloggers headed for the first bar and it's always a great start when you're greeted with fizz! The whole place has a really cool and relaxed vibe to it, friendly and welcoming, the kind of place you definitely want to hang out at the weekend, or any night for that matter. Food is served in The Kitchen until 7pm Weds-Sun with breakfast, sandwiches, burgers and various other mains. You can see from my photo of the menu below that all produce is locally sourced and they can offer gluten free dishes which is great. We got to sample the Mac 'n' Cheese, hiding there under the vegetation, which was delicious. And then the classic fish and chips in the cutest little pans! I'm a bit picky about my fish and chips but this was delightfully good, perfectly cooked, flaky fish in a crisp beer batter served with hand-cut skin on fries, my god they were heavenly. I could have eaten a full portion right there and then but alas it was not to be, tasters only, so it's my mission to go back. We had a slight food intermission to go the bar for more fizz and fruit. 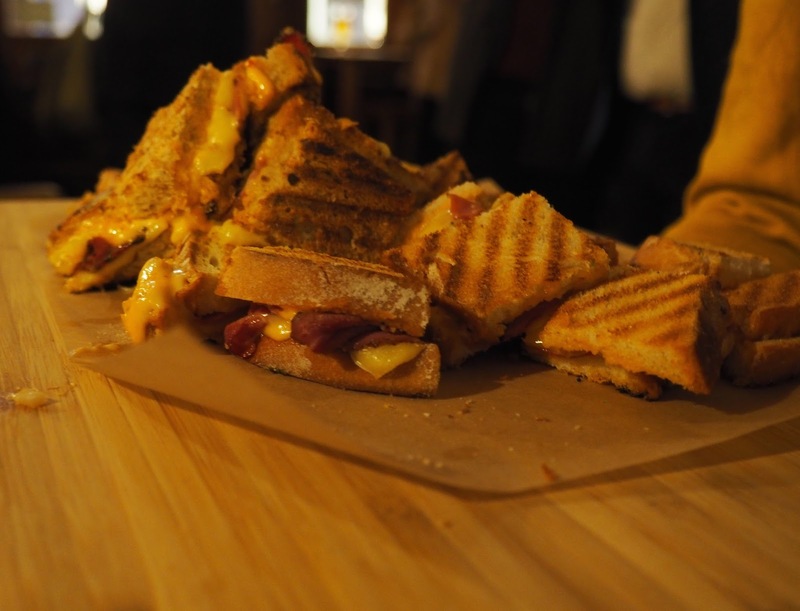 Then continued our mission with a tasters of the grilled sandwiches the Reuben and the Cuban. I'm not really one for these type of sandwiches as they tend to have a lot of mustard or dressings in them, and these did. I did try them, brave of me I thought considering I'm no mustard fan at all, but it confirmed it's not something I'l be ordering when I go back! We can't like everything can we? 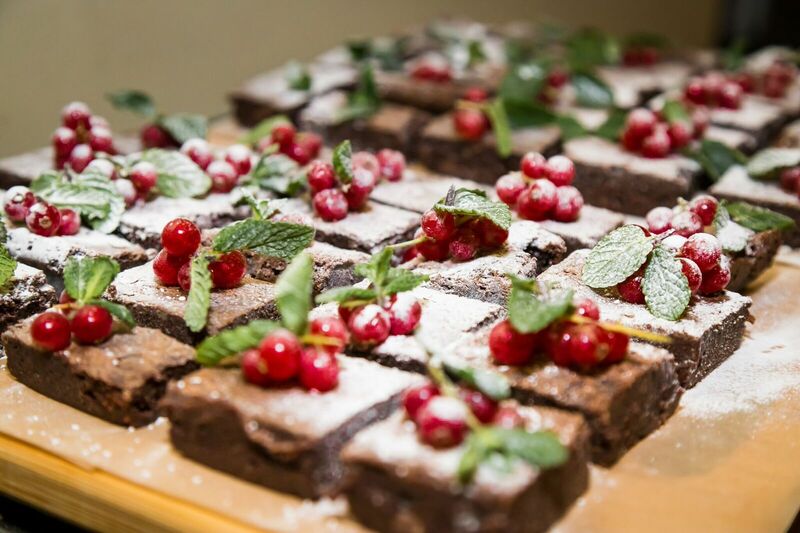 Take a look at those mouth watering brownies, because that's all I did, look. Me and a couple of the others headed off up to The Attic in search of cocktails and when we came back down they'd all been scoffed, the whole lot. We were successful with the cocktail so I guess you can't win um all! 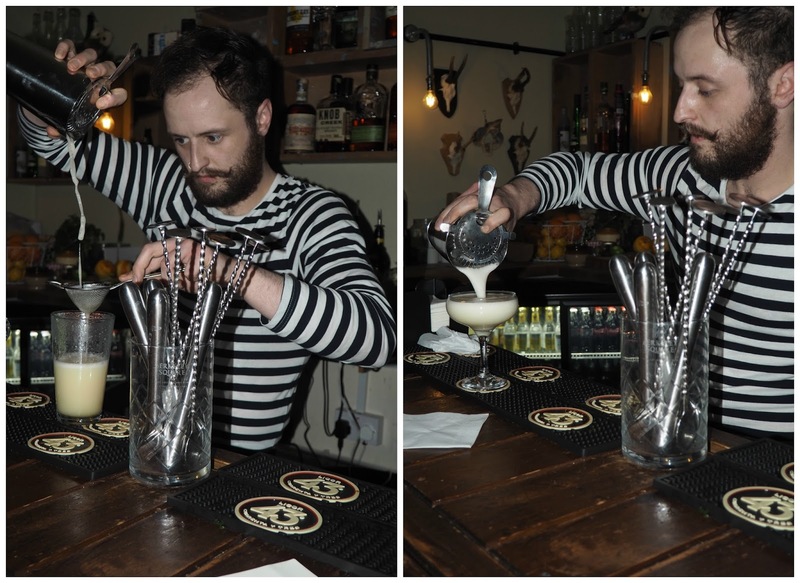 Said cocktail being prepared by the extremely french looking barman. He prepared for us The O bar Crumbled. I'm not going to tell you what's in it but take my word for it when I say you have to try one for yourself. My tip: Don't let anyone else have a slurp as there's not enough of it to start with and you'll cry when it's gone! A big thank you for inviting me along to celebrate your night and I have no doubts The Kitchen will be a huge success. Cafe by day, music & comedy venue by night, what more could you ask for? If you're local (or not) get yourself there. You can click here to find out more about the venue, what's on or to have a look at the tempting menu. Wow, looks lush! Very cool! Love your pics Hun! I would of probably missed out on the brownies searching for alcohol too haha! Wow, everything about that place looks amazing - cocktails, brownies, music... they have it all!